This week I continued with my obsession with the buckysphere geometry. It has become my white whale this semester. 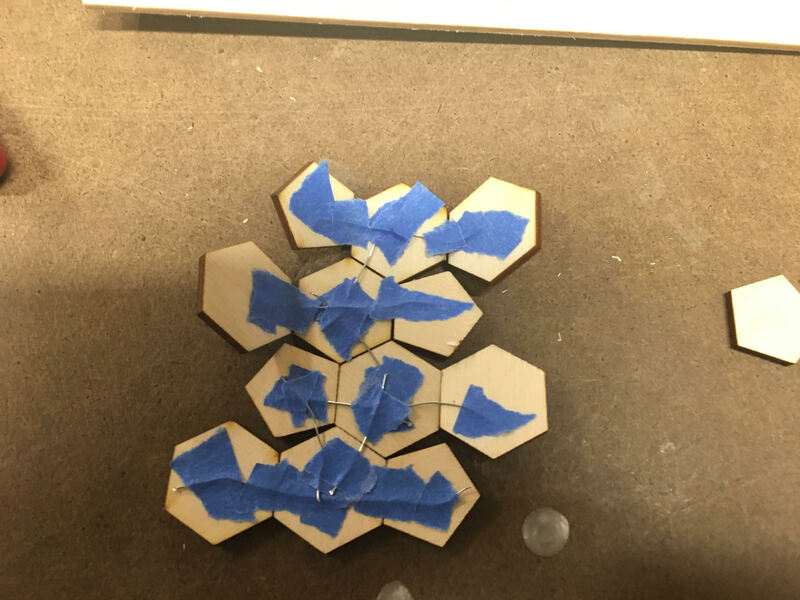 After experimenting with different ways of forming them I still have not exactly solved this puzzle but this week I got closer. 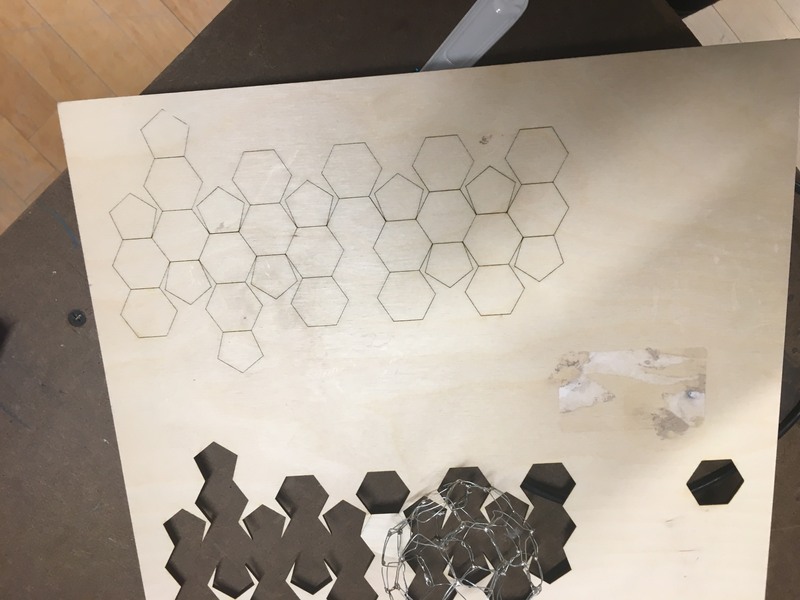 The assignment was to use the laser cutter and I thought that having a computer aid would help me make my polygons since I could cut with precision. I purchased a 12x12” hobby pine from Blicks and used my previous templates to cut out the shapes I would need. 12 pentagons and 20 hexagons, 32 shapes total. 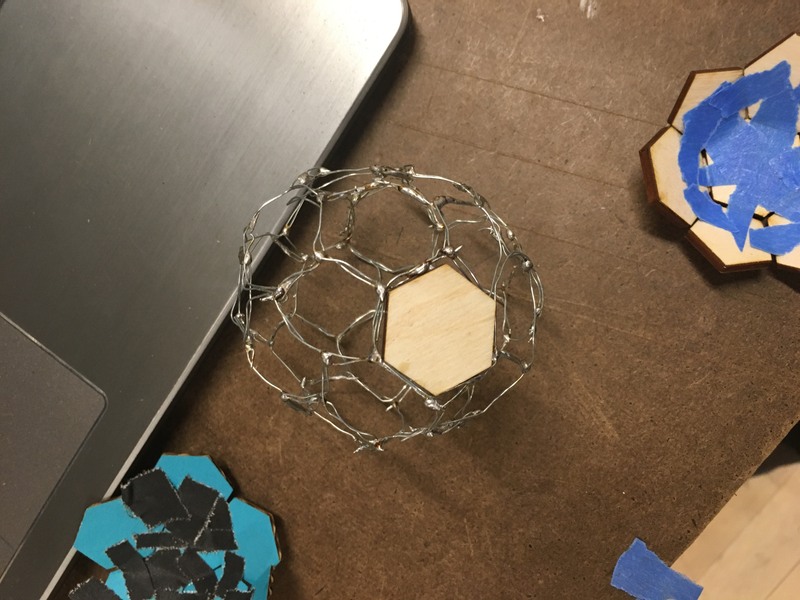 Last week I made wire armatures, but to mydismay many of them had become misshapen from my locker, and they were too imperfect to use as an armature. I decided to use some of my leftover wire to build supports for the shapes. I cut pieces of wire and used tape in the interior as supports. I then glued the shapes together in pieces. While this attempt has been better than previous ones, there are still some gaps in the final shape. The pieces fit together in a very precise way so any mistaken angle will come back to wreak havoc in the final fitment. 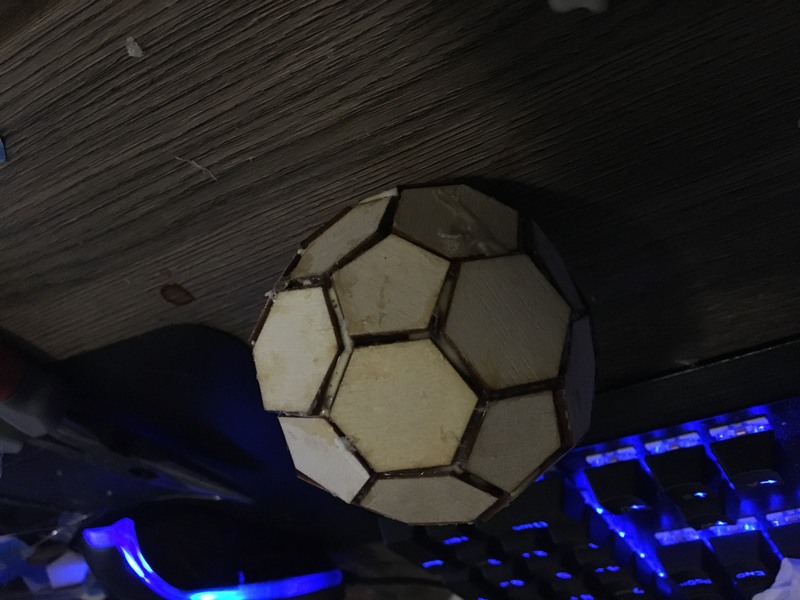 The next step I want to do is to use wood putty to fill the cracks and paint the sphere.